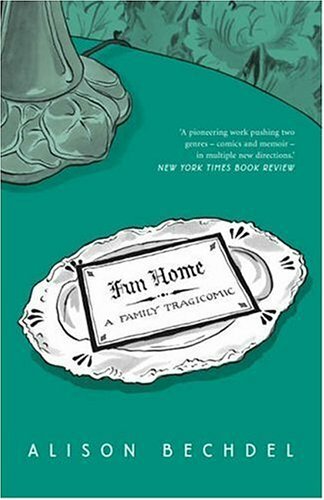 Information is coming to light that the award-winning graphic memoir Fun Home: A Family Tragicomic by Alison Bechdel, has been removed from a high school library in New Jersey without following the appropriate procedures for challenging instructional materials. The removal occurred after administrators learned about another challenge to the graphic novel in the same state, most likely the recent complaints in Watchung, NJ. Back in May, Comic Book Legal Defense Fund in collaboration with National Coalition Against Censorship as part of the Kids’ Right to Read Project supported the administration as they ultimately decided to keep the graphic novel in their curriculum – putting students and their own education experience over the complaints of a few parents in the district. These guidelines speak directly to the experience of reading Bechdel’s memoir Fun Home. In the most recent challenge the graphic novel, the school had decided to include it in their senior curriculum after two years of studying ways to improve the diversity of texts they used. They sought to reflect better the diversity of students who attended the school after the Superintendent became aware that alumni felt their experience was not mirrored appropriately in the instructional materials the school used. No challenged material may be removed from the curriculum or from a collection of resource materials except by action of the Board of Education, and no challenged material may be removed solely because it presents ideas that may be unpopular or offensive to some. Any Board action to remove material will be accompanied by the Board’s statement of its reasons for the removal. Hopefully, shining a light on this error in procedure will help restore the graphic novel to the shelf where it belongs, sooner rather than later. We will keep you posted as this situation develops. Check out CBLDF’s Fun Home Discussion Guide and see if you can incorporate this groundbreaking graphic novel into your classroom or book club! Or grab your very own copy of the memoir that became an award-winning musical, signed and sketched by Alison Bechdel!